Alpha is the Micro Controllers from Mitsubishi Electric and fills the gap between traditional relays and timers and a PLC. Offering functionality, reliability and flexibility but without the worry of cost of overheads. 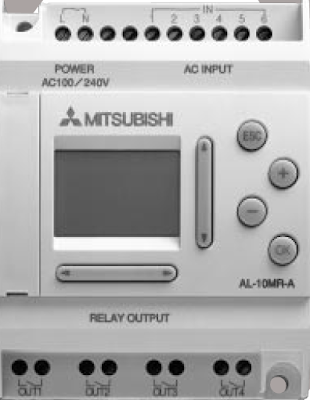 This Programming Manual will tell you how to program your Mitsubishi Alpha PLC or Controller. The manual contains text, diagrams and explanations which will guide the user in the correct programming and operation of the a Alpha series controller. Subscribe to Automation-Talk by Email. The Alpha Series controllers can accept digital or analog electrical inputs. The user can program directly from the front panel or use the windows based AL-PCS/WIN-E software package. You can also download this manual directly form Mitsubishi site also. You can also Subscribe to Automation-Talk by Email for more upcoming Manuals.